It's Time. For Adventure Games. Being Her Darkest Friend is out! Another thing: At the moment the game language is German only, but we’re working hard on an English translation which will be finished and released as soon as possible! The game is finally available with English and German texts. We can’t wait to hear how you liked “Being Her Darkest Friend“, so don’t hesitate to send us feedback of all kinds! THANKS! PS: The Unity webplayer plugin isn’t supported by the Google Chrome web browser anymore. Please play the game in another browser, like Firefox. Thanks! Inventory Memos and other controversies. Ceasing to be Her Demise is out! 2016 is here! But where is Episode 3? 3rd place (out of 89) for “Being Her Darkest Friend” at AdventureJam! A Fragment of Her is finally finished! “A Fragment of Her” took 4th place in the Point & Click Jam! The Point And Click Jam version of “A Fragment of Her” is finished! We’re making a short game for the Point And Click Jam! Blog: There is more in the diary than just the map. New chronerion entertainment website is online! New Website is nearly finished! Blog: Sharing thoughts is a good thing. So let’s do it! 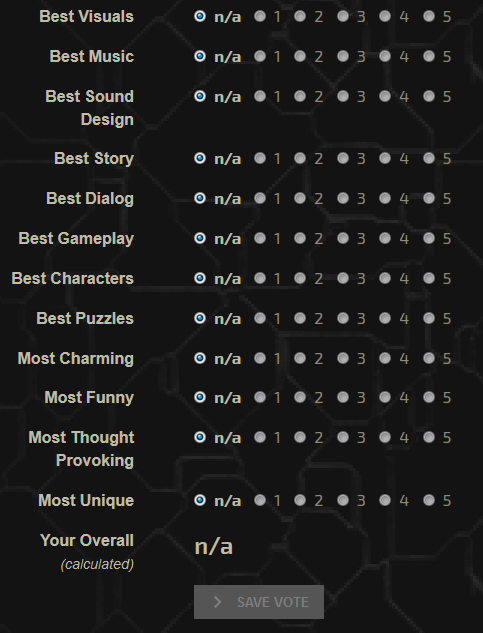 Our “Adventure Games in 2012” survey is online!